Ajay Devgn's Raid has earned over Rs 50 crore at the box office, reports trade analyst Taran Adarsh. In five days, the film has collected Rs 53.03 crore and on Tuesday, it earned Rs 5.76 crore. Raid passed the crucial Monday test with Rs 6.26 crore. Mr Adarsh stated that Raid is 'eyeing an impressive' Week 1. The film stars Ajay Devgn as Amay Patnaik, an honest income tax official. 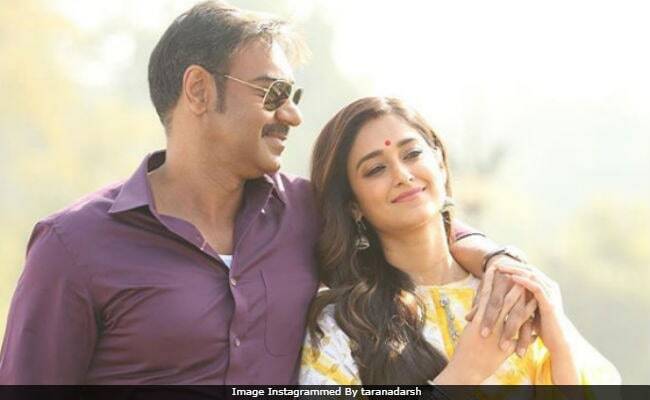 "Raid maintains the momentum... crosses Rs 50 crore-mark. Is eyeing an impressive Week 1. Total... Friday Rs 10.04 crore, Saturday 13.86 crore, Sunday 17.11 crore, Monday 6.26 crore, Tue 5.76 crore. Total: Rs 53.03 crore. India biz," Taran Adarsh tweeted. Here's how much Ajay Devgn's Raid has earned at the box office. (The overseas business of Raid has also been 'wonderful,' Mr Adarsh had said). #Raid maintains the momentum... Crosses 50 cr mark... Is eyeing an IMPRESSIVE Week 1 total... Fri 10.04 cr, Sat 13.86 cr, Sun 17.11 cr, Mon 6.26 cr, Tue 5.76 cr. Total: 53.03 cr. India biz. In his review for NDTV, film critic Saibal Chatterjee gave 3.5 stars to the film. "Ajay Devgn's brooding presence, which shores up film, is reminiscent of the actor's Najaayaz and Zakhm days. Saurabh Shukla is brilliant as the cynical politician who does not abandon his defiant stance even when the chips are hopelessly down. Together, the two actors give Raid its heft. Raid delivers riveting fare without resorting to too many standard Bollywood tics," he wrote. Saurabh Shukla plays a corrupt politician in the film while Ileana D'Cruz stars as Ajay Devgn's wife. Raid is directed by Raj Kumar Gupta, who has earlier made films like No One Killed Jessica and Ghanchakkar. This Friday, Rani Mukerji's Hichki hits the screens.